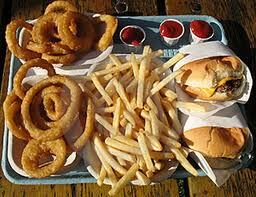 Children fed a diet of junk food have a lower IQ than those fuelled by breast milk and healthy foods from a young age. That is according to Australian research from the University of Adelaide, which showed kids who eat a healthy balanced diet have more IQ points than their treat-fuelled peers. The study of more than 7,000 children examined the eating patterns of tots aged between six and 24 months. Researchers, led by Dr Lisa Smithers, then reviewed their IQs at the age of eight to identify any discrepancies in their intelligence. Kids chowing down on legumes, cheese and vegetables at 15 and 24 months of age had an IQ up to two points higher by the age of eight. In contrast, children that regularly snacked on biscuits, chocolate and soft drinks at the same stage had IQs up to two points lower by age eight. That means eating the right foods is not only paramount for a healthy summer but for improved brain function in children. “Diet supplies the nutrients needed for the development of brain tissues in the first two years of life,” Dr Smithers said. The study, published online in the European Journal of Epidemiology, also identified a negative impact on IQ from ready-made baby foods given at six months, although positive associations were seen when offered at 24 months. Foods believed to help brain function include oily fish, tomatoes, wholegrains and eggs so there’s even more reason to opt for healthy choices at meal times.